See the Booster Club page for the full explanations to see how you can earn these badges. You may have already earned a few from your knitting earlier in the year! The credits will be added to your accounts shortly! Congratulations! A big thank you to everyone for submitting and voting!! *Projects should be completed entirely from yarn originating from Eat.Sleep.Knit. Exceptions are small embellishments like embroidered faces. *While any knit-a-long can be completed at any time during the year, all projects should be started and completed during 2015. *Each project can only earn a prize for one knit-a-long, i.e. you’ll need at least one project per knit-a-long you participate in. *For knit-a-longs with specific yardage requirements or levels, you can combine multiple projects to meet the yardage requirements. For pattern-specific knit-a-longs, if you knit two patterns we’ll credit you for the one with the most yardage. *Each Yarnathoner is only eligible for one prize per knit-a-long, so if you want to knit two things from the same knit-a-long you’ll just receive the one yardage credit (but have two fun projects to show for it!). *You can submit your completed projects on our website via your (new!) Yarnathon dashboard. We’ll be reviewing submissions as they arrive, but please allow 1-2 weeks to receive your credits! Trivia starts back up next week (July 6th) and we hope you all have brushed up on your sleuthing skills! You can find your first question here and submit your answers just like you always have – on the Google doc. Check our Twitter or Ravelry Page every Monday for the new photo! Your dashboards will be updated on Monday by noon Eastern. Tybee Island (sometimes called Savannah Beach) is a barrier island located miles from Savannah, Georgia. Rich in history and natural beauty, Tybee Island is a cute beach town that has much to offer for vacationers. It is most known for quaint shops and traditional Southern restaurants where you can get the best shrimp and grits! Here’s Erin for her romantic trip to the ever-charming Tybee Island Inn! Twelve Georgia-themed colorways seemed like so many, until we tried to collectively narrow down our favorite places. 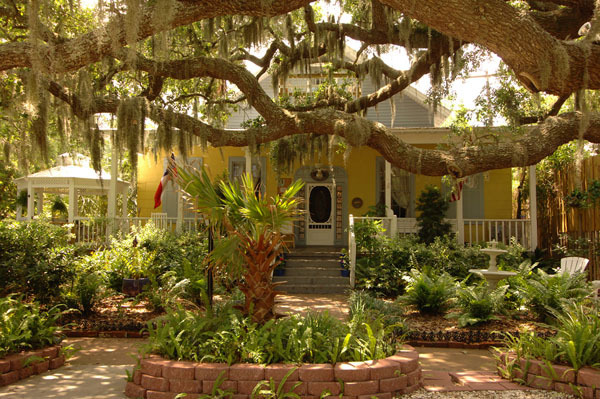 Tybee Island, a little beachy haven right off the coast of Savannah, featured highly on most of our lists, and this little bed and breakfast perfectly encapsulates everything about Tybee Island to me. It’s also incredibly sentimental, since it’s the spot where, ten years ago, Dan asked me to marry him. Being young and commitment-phobic and both a bit stubbornly unromantic, the entire thing was a really nice surprise (and, luckily, I only almost ruined it by trying to get out of a night-time walk on the beach). 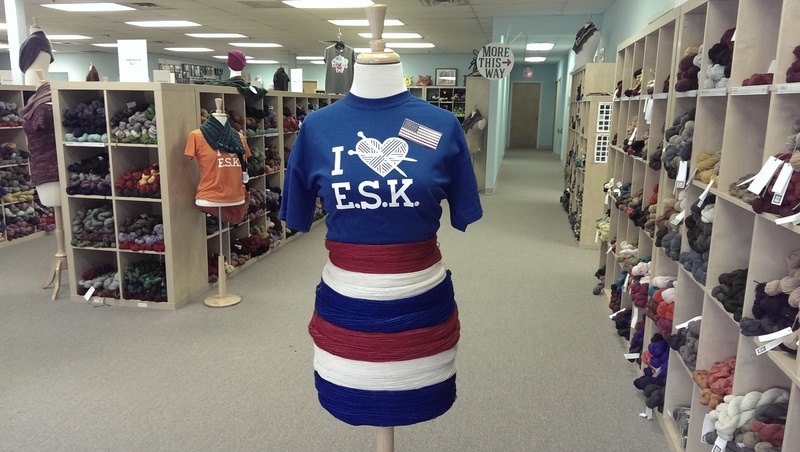 And truthfully, ESK would never had existed if we’d never married (in fact I might not even know how to knit! ), so the Tybee Island Inn is in many ways where it all began. We’ve been back nearly ever fall since! Tybee Island Inn is available in the following bases: TML, Pashmina, Tosh DK, Tosh Vintage, Tosh Sock and Twist Light.